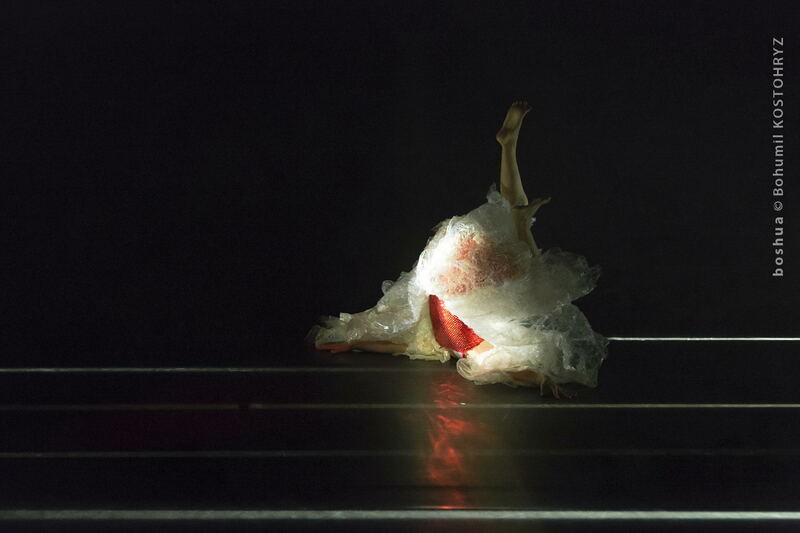 The piece is a result of a research into meanings and narratives of dance based on encounters between traditional dances and a contemporary dance, namely Butoh. The former is a one which has been practiced for a longer period of time while experiencing changes, and the latter is a considerably new one that has come out of de-construction and re-construction of existing practices. The research is not about learning the dance style itself but to explore what it tries to tell and how, and what is the meaning of it and to embody these narratives in each bodies in each ways and see the outcome of it. Through the encounters and explorations of narratives in each practice, the research tries to re-affirm the meaning of dance in personal and universal sense. The research took place in two phases: one with Odissi Dance from Orissa, India and the other with Taquile Island Dance from Titicaca, Peru. Scarlet Medusa – literal translation from Beni-Kurage in Japanese (scientific name Turritopsis nutricula) in the title is a small jellyfish that once reaching adulthood, can transfer its cells back to childhood. “ Dreaming Scarlet Medusa “symbolizes the observation that universal meaning of dance is somehow getting regenerated and re-affirmed all the time, keep on living in different places in different times. What I have witnessed and affirmed through the research is a role of dance in connecting people to the ever-changing movements of the environments, and re-affirming oneself as a part of those movements through images and narratives. It is somehow what people have been doing for a long time in their own ways and I hope it continues on. 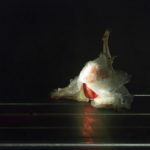 The piece is a personal interpretation of those movements of connections and also a personal ceremony to share these passages with others on a primal and visceral level affirming the new and the familiar.